Pettibone/Traverse Lift, LLC has announced the addition of ARDCO Equipment to its dealer network for material handling equipment. Located in New Iberia, Louisiana, ARDCO Equipment will represent Pettibone in Louisiana (USA). 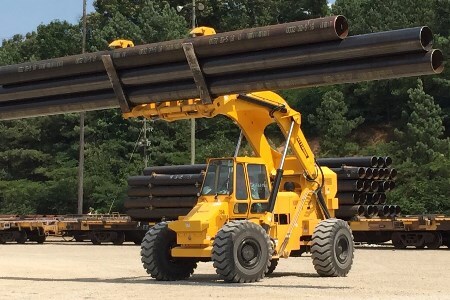 ARDCO Equipment will carry all Pettibone product lines – Cary Lift pipe handlers, Extendo telehandlers, Speed Swing rail cranes – to serve various customers in oil and gas, construction and railroad maintenance.